Religion is and always has been an important part of my life. And I've debated talking about religion on this blog because I want to make my content available to everyone and not exclude people who aren't religious, but I think it's fair to talk about something that means so much to me. I often turn to scripture when I'm feeling overwhelmed, stressed, or any other negative emotion. 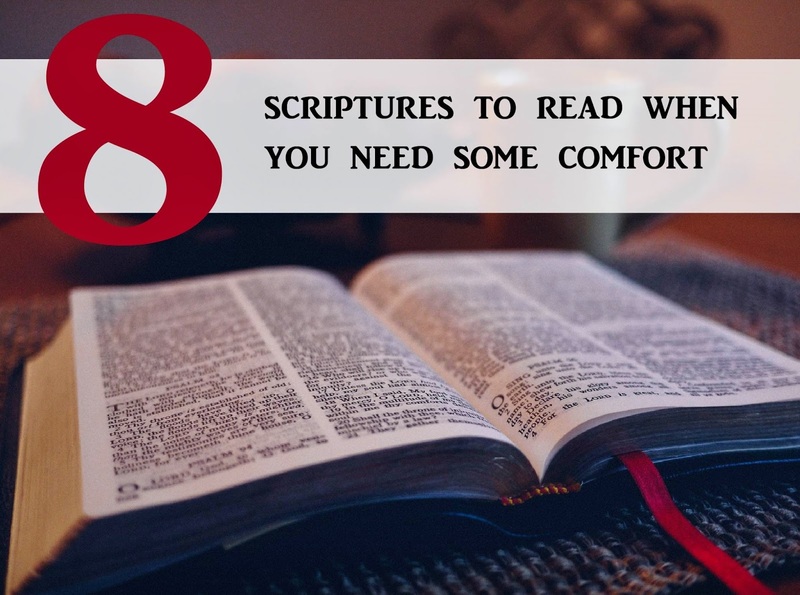 The scriptures give endless valuable information to those who believe in them, but if I could sum up what they make me feel overall in one word, it would be comfort. In such a crazy, unpredictable world, it's always nice to get a reminder that God loves me and cares about me. So here are some of the verses that always give me the most comfort. Hope this lifted your day up a little!